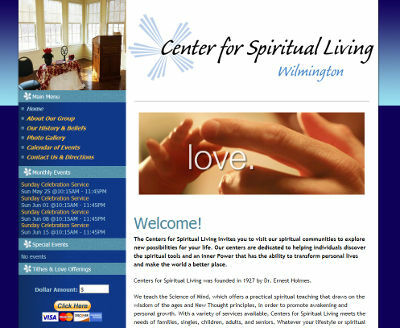 Tony, owner of the Center for Spiritual Living in Wilmington, DE had contacted us a few months back about getting a professional website created for his outreach organization. The task for the website design was provided over to our designer that is well versed in creating websites for church and outreach organizations. Over the course of a couple of months, the website was put together to showcase what Tony’s organization has to offer. If you are looking to have a church website design, organization website design, or even a not for profit website design, BsnTech Networks is experienced in creating websites for these purposes. We appreciate the business from Tony and Center for Spiritual Living in Wilmington, DE! Tony’s website is at pathwaysspiritualcenter.org.